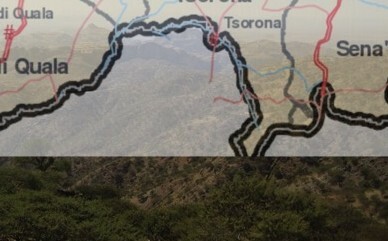 Multiple sources have reported that there was a military clash between Eritrea and Ethiopia along their common border. The clash occurred shortly after midnight on Sunday morning and each side appears to be calling up re-enforcement. There has been confirmation of the clash from both governments. The Ethiopian government blamed the Eritrean government for instigating the conflict to “distract attention” from the UN finding that its officials committed crimes against humanity. Meanwhile, the Government of Eritrea issued a press release blaming the Ethiopian government for “unleashing” the attack. It is unusual for the Government of Eritrea to discuss military clashes–it had not disclosed previous Ethiopian forays into Eritrea, notably in 2012. It is not clear whether this disclosure is the outcome of the government’s new media approach to engage the West or whether it wants to emphasize to the world, particularly the Human Rights Council, that the conflict with Ethiopia is ongoing and the international community’s failure to enforce demarcation is the source of all the human rights violations the Commission of Inquiry cited. The trigger of the military clash is unknown and there are no reports of casualties. It is Ramadan and i am restraining myself but your provocation are getting nastier by the day. Would you stop it! I really do not have the time for your arrogance and jabs. Spare me the fights. Since it is Ramadan I’m not going to be arrogant or tell someone that I don’t have time for his arrogance. You sound unusually offended by my comment. Whatever I said, has been said thousands times by thousands of people. Let’s see what a prolific writer penned in one of the most regarded Eritrean websites in relations to the offensive comment. I wholeheartedly agree with the author. Now , Ato Saleh, you can respond to this author if you disagree or disappointed by him. BYW, this author is not The Great YG. You proved me right one more time. You get a kick from picking fights and annoying people. Yes, I d not have time for your nonsense. You know that means I do not want to engage with you in this subject. But you must twist it to mean that I do not have time for you. You know I have been going through your disrespectful and indecent remarks for a while. But I never censored you. If I didn’t have the time, and I wanted to stop your annoyance, you know it is easy. But I will never do it. Never did it. But you? You want me to stop writing. You want me to not to write about my experience with Ethiopian feudal lords and tyrants. Just listen to yourself, I that would mean I have to stop wring about the current predicament of my country and my people. At any rate, I am glad you are not the director of the censorship department and I am a million times glad I my writings do not have to go through you. Your feelings are hurt? Too bad. No history is buried because some individuals would like it ti be buried. Now, I appeal to you to stop your pocking comments. It’s not funny annoying people for no reason. If you have serious issues, I would love to debate you. But never expect me to tailor my writing based on the size that fits Abi, et al. If it is peace, you are welcome. If it is more of the same, I am not interested (which is what I meant by I don’t have the time”), but you can have the last word. It might make you feel good. I’m replying to you not because there is something new but just because it feels good to have the final word. Ato Saleh Johar God, you sound too righteous , too powerful, to debate with you. I’m so weak, so human to stop you from writing whatever your heart please. why are we still fighting some dumb politicians war. are we still dumb to reason. eritrean and ethiopian should leave together and defend each other. 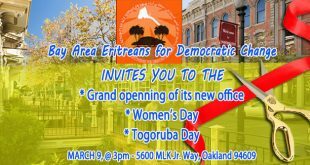 yet we are fighting for tplf woyane and pfdj isayas…. I’m here to learn a thing or two from my Eritrean friends. For example, why don’t you tell why people make mesob from the cheapest material available on earth ( a type of grass) and give it the most expensive name ( mesob werQi)? It should be named after some kind of insect like grasshopper. What do you think? I think we Eritreans need to reinvent ourselves. We need to come up with a third-way movement: one that opposes both domestic tyranny and foreign occupation. We can expect very little that is good from most of the opposition groups. For one, they are hopelessly beyond repair. They are led by people who have nothing to show except the hate of IA and his PFDJ-led government. They are so blinded by this hate that they don’t mind sacrificing the nation to get back at IA. That’s why we see them looking up to foreigners to solve Eritrea’s problems. That is so foolish and opportunistic. This is for the simple fact that foreigners will always look for their own interests first. That includes the UN, US, TPLF, ICC blah blah blah. On the other hand the Government of Eritrea (GoEr) has lost vision entirely. It doesn’t have any meaningful response to the myriad of challenges the nation is facing, the depleting of its human resources being the most acute. For once, it could shorten the national service(NS) to a bearable 3-4 years and let the normal life of ”Hres Harestay, temehar temeharay, nged negaday” happen after NS. It exaggerates the threat from south of the Mereb to justify its stranglehold on power. Believe me Woyane is not as strong as it wants us to believe. It’s marginalized by Ethiopia’s three largest tribes i.e Oromos, Amharas and Ogadenis. Besides, it’s not sustainable for a minority group of 6-million controlling every aspect of a nation of 80 million people. So sooner or later TPLF will be a victim of its own ethnic segregation policies. That’s why we need the third-way movement. A movement that is able to defend Eritrea’s national interests whilst working for the supremacy of law, good governance and peace. It’s high time. ዛሬ የምንፈልገው ልዩነታችንን ኣውቀንና ተቀብለን ታግሠንና ተቻችለን መኖርን ነው :: ምን ይሉ የኔ ጌታ ? Why u need pretending be who you are tigrain !!!! This comment of yours qualify for ERi Tv or radio without any editing. There is also a fiction book of the same content that everyone in the Eritrean school system must read. No my friend, this is the real story I have seen and live. you can’t tell me this is fiction when I my self experience it. I am for truth and just because Eritrea is under PFDJ I am not going to deny that there was crimes committed by your ex -leaders. Kokhob don’t only reject the administration of PFDJ but also the admin of your king and Mengstu. anyhow I will wait to hear from other awatistas – every great man is reading it and I am sure they will come to say their say. First it was “A lie”. Then , you multiply it in every corner of the country. Then , you tell it 6,000,000 times. It becomes “The Truth “. In Amharic “tarikawi lib-weled “. I’m being generous here. The movie continues….Kokobe Jeganu got wounded, he refused treatment until victory…he still carries the bullet as a permanent memorabilia…he shows his wounds to his children and all children so that they keep informed about the worst administrations their father fought against all odds. Honey, bejaki fendisha habeni. Yeqenyeley. That works with you king and Mengstu and yes with IA but not with people who suffered a lot. the people didn’t lie and they will never lie. If only your leaders were smart once, by now we could have been united with the name united Horn for example. it is was simple – just let people live the way they want. Abi, do you know way PFDJ is still there? the reason is people are afraid of going back to Ethiopia – because they were treated very very bad by your king. after 30 years of struggle almost 30 independence years has allowed PFDJ to govern without rule – where at least the king had. you can imagine now how much bad feeling our people have toward unity. People want to remove PFDJ without losing their national Identity that means they years we are in are all part of our national struggle. Now ask the way out? don’t ever try to force Eritreans for unity nor you try to get their port. 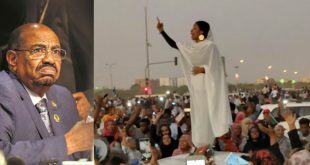 Leave Eritrea to chose it’s fate – on what type of government they will install. just work for love and peace. believe me those two nations will become the most untied nations without losing their identity. That is my dream and I feel it will be materialized – we will just remain two nations but one people. Join me and celebrate the future. ጋሽ ኮኮብ፣ ሻብያ እና ጀብሃስ የጨፈጨፈው እና የገደለው ከኢትዮጵያ ወግናቹሀል በማለት ? የስንቱንስ ቤት የስንቱን መንደር ነው በመድፍ ያቃጠለው ህዝቡንም ያፍናቀለው ? በተለይ የኩናማን ህዝብ genocide ደረጃ እስኪደርስ አይደለም እንዴ የጨፍጨፋችሁት። ምነው ይሄ ይሄ ግፍ አልታዬትም እሳ ? ሻዕብያ እና ጀብሀ ባልታጠቀ ህዝብ ላይ የፍፀመው ግፍ እኮ ምንም አይተናነስም። የአንዱን ወገን ግፍ ብቻ እያጎሉ እንዴት ብለው ነው ሁለቱን ህዝብ ለማስታረቅ የሚያስቡት ? Are audition ng for ERi TV? You will do good. Consider freelancing first. ይህ ሁለት ጭቁን ህዝብ ሰላም ጠምቶታል ሰላም እንስጠው :: ሰላም! Lilew feleghuna yeman new nefezo? You claimed something and I asked for elaboration. Instead, you want me to elaborate to satisfy your curiosity. First, answer my question (if you wish) and then ask me. That is how it works. Then, I am an open book and my positions are all there for the public to see. I do not know you–sometime you say you are Ethiopian, other times Eritrean! You also make deceleration of a political group you are part of, and that your party will take this or that step…. I am just confused by your position (I am sure everyone here is). I am just trying to relieve readers of the ambiguous comments that you always make here. If you do not want to divulge information, it is fine. I will not ask again. I am just curious, can you elaborate on the “Weyane propaganda” that you claim is being waged against you? Aman works on his own wavelength, we are out of sync with him most of the time. He reminds me of “Our President In Exile” will post his youtube clip if I can locate it. Where is L.T. these days, is he still struggling to recognise the access code. Hi Can you imagine why people of two nations let these happened ,instead of refused to kill each other for the pleasure of ruling families. BTW.I believe Tigray can be a independent country with out port of Assab.it may be better if they think and plan it in that way to avoid bloody invasions of madness. I can share what comes my way but you need to treat it with grain of salt as I get from a single source. This more than skirmish of force-meets-force theater took place apparently unplanned by both sides. We can blame it on groundhog. Our groundhog for the event is Sagim. 3-4 weeks ago, Sagim pulled off a stealthy attack on a small military unit mostly populated by intelligence operatives where and when the Sagim units over run the places by killing some high value officers in those same areas the latest engagements were reported to take place. The Eritrean regime was very pained and very furious about it. And became more agitated as the Sagim units were visibly sitting in those areas they took over instead of pulling back to their usual places. About a week ago, the Ethiopian forces notified Sagim units that the Eritrean army was prepared to retaliate and advised them take every precaution. But Sagim units were still sitting between the two armies positions closer to the Ethiopian side than to the other. Then suddenly the Ethiopian forces advised or asked or instructed or forced the Sagim units to vacate the area urgently. Sagim units didn’t ant but they complied reluctantly. Those Sagim positions were immediately filled by the Ethiopian forces late Saturday night. And then an intense hand to hand fight broke out early Sunday, which was followed with medium range heavy artillery and frequent explosive fire power. Causalities are expected to be high on both sides as it was a situation of kill-to-survive moment that stayed for hours. The Ethiopians prevailed and over run the EDF and only stopped the chase at will when the reached the command views in the vicinity of Tsorena where they are still positioned. If my analysis is to be drawn from this report, though the casualty seems too high, it doesn’t seem the fighting was high-mission driven as such. One point proven once again is the porousness of the EDF. The IA regime has nothing to offer as a selling narrative to its claim of legitimacy or justification for the cruel oppressive system it chose to run except the mantra of defending duty Eritrea from Ethiopia which clearly it is nowhere close to achieve that capacity, a capacity that has been steadly shrinking fast since 1999. When you said ‘hand to hand combat’ , do you mean that literally ? Welcome back! You came back right on time to discuss your favorite subject, violence. I hope it is not the same source that left you embarrassed the other day. since you are biased from day one, you have zero credibility. 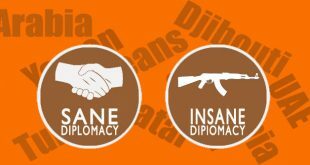 And one very important thing you keep missing, or conveniently ignoring, is that PFDJ and Eritrea are two different things when it comes to foreign aggression. The brutal PFDJ is an internal matter and it is definitely upto Eritreans to own and solve their problems, not TPLF, not COI, or any foreign entity. And keep in mind that If full fledged war is going to happen, which I hope not, it won’t be conventional rather it would result the same quagmire your ሓርበኛ ወያናይ facing in Somalia. Be that or this,you shied away from telling the truth as who was the invader ,worst,U seem to be excited. Do u mean TPLF Commando under a disguise of Saghim like it is done at Aseb Front in the name of RSADO and like the one one in Gash Barka in the name DMLEK? You did not analyze though as to who is the invader was and why and as to why the EDF has been ” weaker”! 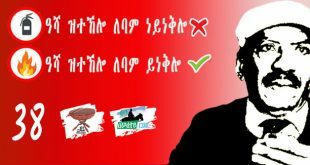 Either or any way,Berhe got an answer from the TPLF Agent. My brother-in-law is one of the Battalion Commanders in that place and we are serioulsly concerned now despite that he has survived all the major battles from Sahel to Baduma,Aseb and even he was lucky to survive the Tserona Carnage in 2000 but with multiple injuries since 1981 but now….???? Thanks for the welcome. I hope your brother-in-law is safe. That is how real war is. There were definitely casualties on both sides and those too have brothers-in-laws. Hand to hand combat is based on the combatants’ offensive action unlike the defensive action, which is based on action and reaction. Are you saying that both were on offensive because they suddenly came within contact strikes? Sometimes coming within contact strikes may end peacefully unless one of the two takes the first attacking action. Yes, it appeared as it started from a sudden contact but now Gedab has come with a clearer chronicling of events. We cannot speak of balanced force between the Eritrean govt. forces and the Eritrean opposition units as well as between the Eritrean govt. forces and the Ethiopian govt. forces. But since you mentioned that the Ethiopian govt. forces took the place of the Sagim units, I interpreted it as that might have caught the Eritrean govt. force off guard compelling them to either retreat or surrender or open fire to make their way out thus coming face to face. Thank you guys. I just showed my ignorance on Eritrean politics. Peace, groundhog is a very peaceful animal. “Groundhog Day ” is one of my favorite movies. Please watch it . You won’t be disappointed. Sagim means ‘segum’, or ‘march on’, or ‘teramed’. Hayat said grounghog. I didn’t know what groundhog was but when I googled and saw sneaky-looking animal, yeah she is spot on, Sagim is a groundhogy group. Hi Hayat. Your source is probably a member of one of those good-for-nothing opposition groups based south of the Mereb. The problem with such groups is that they are not impartial. Someone who’s day-dreaming about the Woyane marching to Asmara so that he grabs one government position or two is not probably going to give you a balanced report. Yes, Eritrea needs a democratic government that appreciates the rule of law, leads by consensus and cares about the welfare of its own people. To think such groups (I don’t care if they use a misleading sewrawi name like Sagem) will bring to reality such good vision is as foolish as expecting IA to relinquish power anytime soon. I’m tired of IA, Woyane and the endless list of opposition groups. 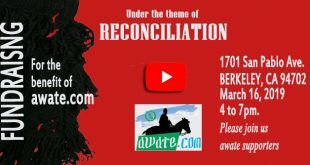 What is needed a broad-based coalition of Eritreans at home and in the Diaspora that believes in a future Eritrea at peace within and with all its neighbors. A coalition led by Eritreans and cares about Eritrea’s national interest. sum game competition will only take them down and both loosing. and understanding each other. The only win – win scenario for all. Isaias has started firing his last bullets. So far he has lost many borde villages to the marching forward Ethiopian army. it is also known that there will be no Eritrean soldier who has desier to fight agains any agressor at this very moment. They will give their hands to the advancing Ethiopian soldiers. What os the use of to have a cow that you do not see (use) its milk. This is our todays Eritrea. Eritreans are forced out systematically and their resouces are being Eaten by people who don’t have any patriotic feeling. So what is the use of fending it and prolonging the age of dictator who was quoted sayin “if you are asking for democracy, go and seach for it on the sky”. Barring the possibility that the flare up resulted accidentally out of minor skirmish, it can only make sense to think of it as a diversion from the PFDJ. Only PFDJ can use this to justify its indefinite conscription which has resulted in their implication in an international crime of human enslavement. If that is the case, it is a high stakes gamble because it also means a huge loss of face for Ethiopia (albeit too late for PFDJ). The later had staked all its Eritrea politics on a scenario like this, i.e. where PFDJ would attack and they would rain yemayadagm ermija. This would certainly make their position not aligned with their true capability. If Ethiopia indeed started the offensive, then it would have to be solely to assist the beleaguered regime. So, there may not be a war but a political wrangling out of this. The attack launched by the TPLF regime on the Tsorona Central Front on Sunday, 12 June 2016, has been repulsed with TPLF troops sustaining heavy causalities. The Government of Eritrea will issue detailed statement on the purpose, scope and implications of the latest act of military aggression by the TPLF regime. 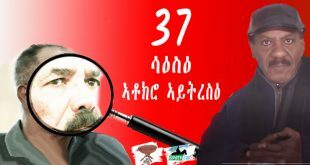 It is nonetheless clear that mounting opposition from popular movements of the Ethiopian people, endemic corruption and associated economic crisis, as well as the desire to stem promising progress in Eritrea are indeed some of the factors prompting the TPLF regime to indulge in reckless military adventures. Ethiopian government spokesman Getachew Redda said there were “no clashes that we know of”. Ethiopian government spokesman Getachew Reda told AFP. He said the battle that began Sunday was one of the most serious in recent years, noting that while the two sides had exchanged gun fire in the past, this clash was on a far larger scale. The fighting had reportedly calmed on Monday. Hey Haile; the point I was trying to rise and failed was that … governments look for diversion when they are cornered INTERANNLY by instigating issues externally. On the same token; governments who are cornered externally does not make sense to instigate external drama. I.e. it makes a good sense for the Ethiopians to instigate these external issues due to their internal problems. I think the timing is off and very dangerous for the Tigryans to take a gamble on this particular point in time. I will be at lose if this was instigated by PFDJ though. Funeral? I guess you missed PIA speech. 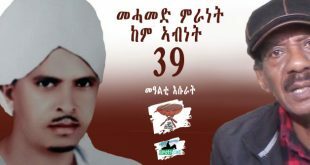 You will see him once again on the occasion of 50th Eritrean Independence Day. Lol. Reading what’s been currently transpired out of the news, (total diversion from ICC, CoI), from both Eritrean/ Ethiopian side diverting the situation to Assab and other non related items, it looks to me the diversion tactic by PFDJ is working perfectly. Imagine if the well informed population can be bogged down and failed to see this news / action for what it is, it’s not hard to predict what the rest of the populations will think. This makes perfect sense to divert the attention of the International Community and the Eritreans. How quick the Eritrean government to issue the press release? I don’t think the Ethiopian government would initiate the attack specially NOw, that the PFDJ government is under a lot of pressure by the UN. If it attacks, it’s giving a room to justify it’s past actions. The second point is, what can Ethiopia try to gain by this attack, in the central region, if it’s the one initiating it? I personally think this is a tactic by the Eritrean government to divert attention and be ready for the hearing to make a case and justify what it needs to keep the recruited for indefinite time. It wants to use this attack as an example. Let’s keep in mind that what we have so far is claims and counter claims. The so called eye witness didn’t want to reveal his identity. Basically, there is no independent account of it. The issue of war between Eritrea and Ethiopia is higher in the level of priority both for domestic and intl. actors. Headlines today are filled with the claims and counter claims. It certainly play into PFDJ hand at many levels. 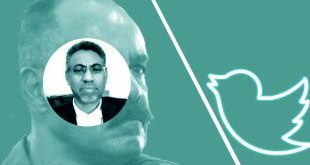 In COIE, PFDJ will raise the issue to defend indefinite conscription, for its supporters PFDJ can show that it still has enough muscle to flex in order to intimidate Ethiopia (i.e. not only arm its opposition but also direct attacks – if you believe PFDJ started it). If you were to believe Ethiopia started it, unless there is more to come, it is not easy to see what purpose it would serve. The HRC is in about 7 days, this thing would probably blow over by then. Thanks. I agree with what you said. But the shabait.com has official press release…which is really odd considering how it likes to keep this type of news at low profile. What’s surprising is, how this incident discussion, if it happened or not, has turned to something else, at least here at AT. This attack suppose to have happened in the central region and the discussion is about retaking Asab etc..
From the Ethiopian side, the issue of Asab is not settled, there fore this is the opportunity to do something about it. From the Eritrean side, now that Asab is in question, let’s forget all our internal issue and defend by all means. For the Eritrean government, I think it’s a lot of cover to justify the CoI hearing and to gain support from the Eritrean public. 2) Take over Asab etc…and face the International community wrath.. I think this will benefit the Eritrean government current plans more that Ethiopia. At times, you confuse me and surprise me by ignoring plain facts on the ground. -Ethiopia has still maintained the Declaration of War Status against Eritrea and has never been lifted per the horse’s mouth-the PMHD himself. Hence, there is no need of further argument as to who is doing and saying what and for what purpose. Here is what the Flip-Flopping Ethiopian MoI said after initially saying that he was not aware of any war. “:Ethiopian government spokesman Getachew Reda told AFP. He said the battle that began Sunday was one of the most serious in recent years, noting that while the two sides had exchanged gun fire in the past, this clash was on a far larger scale. The fighting had reportedly calmed on Monday”. Am not sure the justification you gave for the PFDJ to initiate the war would make any sense unless the PFDJ is trying to commit a suicide. 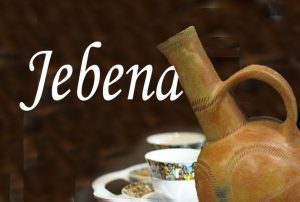 Rather, contrary to your assertion, as the TPLF has repeatedly declared that it will hit Sahebia at the right time, the TPLF then might have concluded that it is the right time to hit Shaebia believing that due to the COIE,the shaebia will not have any support from the International Community. The reason why the PFDJ made its Press Release might have multiple motives, not just to get attention form the Eritrean Public as it will have an unwavering support ,not just an attention, from the Eritrean Public if the TPLF invades Eritrea, irrespective of its outcome. BTW,the battle was said to be heavy and fierce—for whatever reason, at least based on the TPLF report. I understand what you are saying and I never said Ethiopia would not take advantage of Eritrean vulnerabilities (Eritrea would do the same). But it looks to me that Ethiopia has more to lose than gain and Eritrea has much to gain, for example the case of COI not to be referred to the SC and possibly ICC. Why would Ethiopia interrupt that, unless it’s going to do full scale war and do regime change and it has to inform it’s parliament, get approval and let the SC know. I am trying to be objective and see things from outside without having attachment for everything the Eritrean government says and does. Last time around we followed blindly and we got into mess, that we still can’t get out. I would prefer the Eritrean government do some reform and start by releasing civilians, like the elders, women, journalists, religious minoritied etc and make a promise and commitment to bring all to justice / release. That I think would make a difference, and as much I detest the PFDJ government, and given the alternative, I would think that would be favourable. But knowing Isayas he will to his demise and he wouldn’t care about the country and people, he would rather take them with him. And I believe in faith and karma, that he needs to pay for the misery that he caused. Tnx Berhe for your feedback . Irrespective of her credibility,I hereby refer you to the “Under-Cover TPLF Agent” and the “TPLF de facto Amb ” here at Awate.com. Plus,dear Berhe,you have completely ignored the unlimited immunity Ethiopia has enjoyed! I mean this is 2+2=4=2×2 always! You and Hayat Adem including Sem Andom and Aman Hidrat have NO moral ground to accuse the GoE in lieu of what Eritrea as a Nation is going with the endless and countless enemies. Abi would say:”Letekemach Semay kirb new “! Yes,indeed,Eritrea is going through tough road and to blame the GoE in this kind of a situation is but ….beyond hypocrisy and bigotry. How would u feel if your own brother is a victim of this ” Hand-to-hand” but purposeless fight? But I respect and grateful for the Ethiopian government treating our refugees, for giving them safety that they are denied in their home. Do I agree for them refusing to demarcate the boarder without dialog and no ifs and buts as they agreed, NO. But I also am aware that if both sides agree, they can change the outcome of the ruling and make adjustments, and I think this would be the best way out. Do I support IA fully in his approach to the demarcation, absolutely NOT because he is wasting valuable time, energy and resources, that what ever vindication he is looking is not worth is. The main problem with the Eritrean government, is the WAR it declared on it’s own citizens, that no matter what the reason might be, I find no justification what so ever. That they can leave the people to live with their lives, that they are wasting our youth. Distraction to divert attention from TigrayPLF crimes against the Amhara and Oromo people. Thankfully, Eritrea successfully repulsed the attack. “Ethiopia therefore should restrain herself from war by all means possible for its own existence” Kkkkkkkkkkkkkkk So, that means if time, place, circumstances allow, Eritrean people are a threat to Ethiopia’s existence. What kind of Empty brovado is that. Eway! Well it is past 8:00 pm Paris time. Call me tomorrow morning when you feel better. Tes, I don’t expect a prolonged war. It is like a disciplinary action for a 70 years young lunatic. The reported flare-up of hostilities on the tense border between Eritrea and Ethiopia is more likely to be a passing clash rather than prelude to all-out war. All indications point to the fact that none of the two adversaries wants an extended hot military confrontation because neither political nor economic circumstances in both would allow. The only possibility is if either side decides to gamble on an adventure with the aim of diverting attention from domestic as well as external pressures. side. The military of the latter has been badly depleted of fighting capabilities due to continuous defection of the youth. It would be sheer madness for the dictator to start war at this time and hope to survive as he did the last time. day one lucky morning they would rise up to see the Port of Assab within the territorial limits of their country. here referring to what I read at Ethiomedia. They would not support its war efforts unless it first commits itself to conquering Assab. happen to be in similar situation of geography but existing and prospering in peace with their neighbour within the framework of mutually formulated arrangements. Does the mere fact that Ethiopia happens to be bigger in population give it a God given right to have outlet to the sea? Why is that denied to let us say Kazakhstan or Chad? 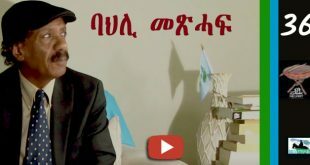 Dear Ismail AA ….this is what we have been saying all along about the so called opposition groups working with Ethiopia and from Ethiopia against their people and their country. Many naive Eritreans believed that Ethiopia will help them to bring change in Eritrea by removing the current government of Eritrea. I am sure 99 % of Ethiopians do not accept the Independence of Eritrea and most of them will support a war with Eritrean if it can get them the port of Assab. We all need to open our eyes before it is too late; let us not make the same mistake our fathers or grandfathers did by trusting Ethiopia. Ethiopia will respect us only if we are Strong and united, period !!! One more note, I don’t trust the so called Ginbot 7 either; when they have the opportune time, they will not hesitate from starting a war with Eritrea to take Assab. Why should there be war between Ethiopia and Eritrea at this point in time, even though I doubt that there is any important confrontation taking place between the two armies? If Eritrea wants to start a provocative war with the aim to divert the attention of the world community from a government that is accused of crimes against humanity to that of being a victim targeted by Ethiopia, and that Ethiopia is responsible for whatever happens in Eritrea and for the behavior of the regime in Asmara, I doubt it will help it for nobody is going to believe this assumption. On the other hand, if Ethiopia wants to use the recent armed infiltration in to Ethiopia by a group that was trained and armed in Eritrea, I do not think that it made any headlines anywhere else except in Ethiopia. If the problem is the presence of armed groups in Eritrea (G7, OLF etc) that frustrate the Ethiopian government, a bombing mission would have been enough. Is it possible that Ethiopia would try to exploit the accusation of the ruling regime by the CoI? But, what is the target beyond that? Nobody organization, either the UN or the AU, is going to support war. If it is only to get in and then come out, only to show that the Ethiopian armed forces can do it, then it is utter nonsense. If the aim is regime change, one is forced to ask, where is that Eritrean force that is going to fill the void? Nobody should ever have the wild dream of occupation by Ethiopia. God save Ethiopia from such blunder and the ensuing quagmire. It will destroy Ethiopia’s hope for development and take her back decades. Others may entertain Assab as the main target. I am not a military strategist, but starting war in the north while the target is in the east does not make sense? The issue of Assab and the land-locked status of Ethiopia should be solved by peace-loving future governments of both countries and not through war. I think and I hope that it is too much ado about a minor border event and not an out-right war. It could be a quick over the border punitive incursion for one reason or other, and nothing more. An all out war has no reason to occur. My two birr worth. Your take was OK except that you omitted the fact that what your government put forward as evidence of captured weapons from Eritrea-based Ginbot7 was fake. They pasted weapon caches the Americans captured in Iraq. Then why do you include Assab, anyway? Is the fact that Ethiopia is a landlocked country the fault of Eritrea or geography, or your ex-king Minilik? Assab is not contested, my friend. Ethiopia could close the case by signing a peace agreement it had promised to sign but walked away from it. I agree though that war should be condemned by all. Why don’t you try to be a practical person? I think that you have that capacity, but not the will. Do you believe that 100m Ethiopians will accept to be landlocked forever by 4m people and by the two cousins? You can call upon history, geography, colonial borders, whatever…. If you can convince Ethiopians and make them accept a noose around their neck, and sacrifice their economy and their security for eternity, good for you, but you will never be able to do so. I will disappoint you, Assab is going to remain a contested issue. You know it and I know it. It is the main point of discord, a stumbling block for future peace, cooperation and reconciliation. I know you are among those who say no Assab, no Eritrean independence. If you think that I am talking of peace for the sake of peace and not an everlasting peace that is founded on a win-win solution for both countries, and you believe in a win-lose solution where Eritrea wins everything and Ethiopia loses everything, you can call me again a fake Samaritan who speaks of peace. It has become an obsession for you, and you tell us day and night that Ethiopia should walk out of Badme. Ethiopia is not doing so, the world community does not care, and what are you going to do about it; keep hostage the Eritrean people for ever for the sake of that piece of land that is not going to change the fate of Eritrea, but serves only to extend the life of the regime? Thank you for saying it loud. Well, for the sake of enlightenment that’s a wake up call for those who are confused about this. You represent the blood sucker typical elite my friend. Just be in the front of the advancing army. Don’t do it at the expense of the young people. As you know me and abi are already done with this and moved past it. That’s why we are in good terms. Are you from the ESAT and MedreK lots, just curious? Otherwise, our EPRDF doesn’t say that. “Use” is something, and Eritrea would be happy to have Ethiopia use its ports. But not under Gura. Never. You said ” Assab is uncontested? ” Wow. Thanks again. But that’s is a slap in the face for the peace loving Kokhob Selam. Calm down, my friend. What I say and what you say is not going to go beyond awate.com and affect the policies of both governments. As individuals we have the right to say our opinion, and it is not necessary to secrete too much adrenaline during an ordinary discussion. This does not seem be a good period for you. Take a break and calm down. I am sure that this is not the first time you read about my stand on Assab. Believe me, I never lose a night’s sleep over this. I know that there will always be there expansionist elements out there trying to build their political fortune over Assab. Enjoy the receding dream of Assab, and mind about those tribes whose land is given to the Indians and the fat Arabs. Will you? You’re not smart, are you? Please be a little gentle. You’re making life, very hard for Semere Andom, Amanuel Hidrat, Kokhobay, Hayat Adem The Eritrean Muslim, Haile the Hreat……..
Sem Tesfay, the Ethiopians have their own relationship with SA and Quater both these countries will side where their interest is and no garrantee that they will side with Eritrea for better or for worse, thin or think. Minew wedaje kalTefa zemed areb qemis sir medebeqin min ameTaw? Fesachewun gumm sinasmesilew tafineh endatmot. Time to load the Land cruisers. I think IA should bring the Egyptians, Saudis, Emiratis and Qataris to assist the EDF in whipping the hoddam Woyanes and neftegna, then the Oromos will finish the rest of the job. I am sick and tired of having endless debates with these morons in cyberspace and outside. Lol what happen to ስላም ፈላጊ ቄስ horizon? Or, was he pretending all those years! What made you display your true colors now? Not surprised at all, if I were you, I would apologize to Awatista for being fake and deceptive. Let’s see who would you bring to make your wild dream come true.. Hmmm the Oromos are no longer fools, the Amharas don’t like to fight except talking and singing, and the Tigrayans are too confused to make a U turn from ኢትዯጵያውነት and give their back to Oromos….. I just can’t think of any potential. Please stop your akaki zeraf and tell us how would like to see your dream unfolding? When it comes to the question of Assab or any Ethiopian territory we all put our ethnic differences aside and fight for the common good. TPLF has always used this as a trump card to mobilize everyone whenever they find themselves in a sticky situation. That’s an old and ugly movie. Make no mistake although Eritrea is a tiny country, it can certainly accommodate new layers of graves for new comers. thank you! You’re right in the sense that I dont support any more drop of Ethiopian blood to bring about regime change in Eritrea. We’ve already spilled enough blood fighting for a better future for Eritreans and you’ve chosen Shabiya. Youve made your bed and you sleep on it. If that means prolonging the question of Assab so be it. Djibouti has turned out to be a better alternative. How about regime change at home first, are you happy with the authoritarian minority government that is holding power by killing innocent Oromos, Afars and to some extent Amharas, and wining a fake election every five years? please wake up if you think that’s a melting pot movie. The only sleep us Amharas need to wake up from is the hatred you have for us no matter how much we did in the past to make you feel like we are one people. Good. You have the infrastructure, now you need food to deliver to the badly starving twenty million Ethiopians whom most of them are farmers and victims of looting which you seem to have no problem with. And your assertion on puppet is ironic, but hey! most Amharas are now enriching themselves by being a TPLF puppets against Oromos and Afars. I don’t know if there is a difference between a domestic and foreign grown puppets. The difference is that domestic looters zorew zorew they invest in their own country. And its not just Amaras…the Oromo’s, Afars, Gurages etc etc are also joining with TPLF in the looting as long as they show party loyalty and give the usual cut to the TPLF capo di tutti capi. The problem with Eritrean looters is they would export it to Eritrea. Like that time you used our coffee to become a higher ranking coffee exporter than Ethiopia. Your only interest in Ethiopia is for economic leeching purposes to avoid the harsh reality of developing that barren land using slavery. It’s your right to argue and criticize what you feel about the PFDJ government, it’s past and it’s future. But I think it’s wrong to blame all hard working Eritreans who helped in some small way to the development and service of Ethiopia. Believe or not, Ethiopia / Addis was their home and most of them once they left Eritrea, they never returned to invest in Eritrea all these years, for better or worst Ethiopia was their home. I do not need to go around and give you examples, but their legacy is all over. Please try to differentiate a PFDJ government and their operatives and simple business man and women who do their best to benefit themselves and help grow the society the live in. There is no evidence that Eritreans are looting, leaching from any country around the world that they made it home, Kenya, Uganda, S. Arabia, S. Africa, the UK, Germany, Sweden, America, Canada etc. what have you, and if they are in Ethiopia I don’t think it will be any different. As to having barren land, all I can say to you is, go visit California. It may be barren land to you, but weather wise one of the best place for year around sun. This does not mean that there is nothing Eritrea and Ethiopia can gain from each other, as long as they follow the standard method of operations like two neighbor countries. If people are left lone the can do miracles with what God has provided them, as they have done for centuries. Even if you see only from Ethiopia’s economic interest of view, there is a lot to gain. How much does Ethiopia spends on port fees to Djibouti….last I heard in excess of 1 billion dollars a year.. I know there were Eritreans who contributed to the development of Ethiopia but these are very few compared to the majority who have been destroying Ethiopia from inside. 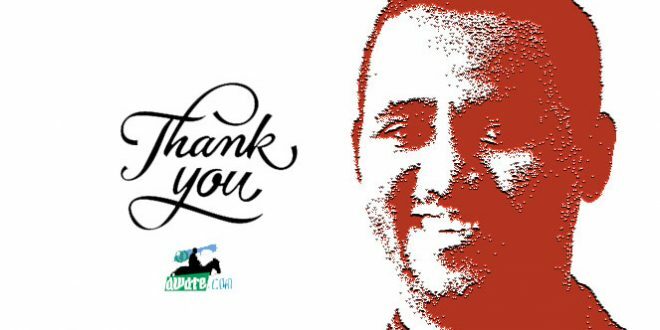 For those whove contributed towards Ethiopias progress my gratitude is immense and these individuals will always hold a special place in our history. Sadly they are not representative of the majority who harbor ill will and hatred towards Ethiopians. The fault of Ethiopians in the past was using these few individuals who stood for hnity and progress as representative of the majority who put a welcoming face on the front and stab you in the back. In regards to the cost of using Djibouti ports, I believe it would be the same cost or probably higher if we use Eritreans port. Its not like Eritreans are going to let us use it for free without expecting anything in return. You advised thinking big, thinking big is putting aside differences and creating unity. In unity there is strength. Look at the great nations of our world, they dont bicker about petty things like ethnicity and secession etc. But youve chosen disintegration and its consequences. We are working around our losses be it in port access or geopolitical strategic locations. Eritreans should buckle up and deal with the consequences of your choices. Putting aside difference means trying to work things out in the house rather than heading for the door at the slightest infraction. Im not a fan of feudalism nor agree that HS legacy can be painted as such only. The positives he did far outweigh his failures. Besides, feudalism was something that he inherited not created. It was something that would have eventually been done with peacefully rather than through a violent revolution. The irony is that as much as the Emperor favored Eritreans and did so much for you, he is the subject of your most venomous hate. But I understand where you’re coming from. Without clinging to that hateful narrative there is no way you could mobilize Eritreans to join the rebels nor come to terms with your current fate. እድሜ መስታወት ነው እና ይኅው አሳየን how Eritreans are faring under “free” Eritrea. if you already accept Eritrea is a nation you should also accept Assab is an Eritrean port. actually your king has fallen badly the same as Mengstu while the TPLF and the parties who formed EPRDF were thinking wisely war against people who want separation is useless. Blue Nile was exporting all the minerals and it’s power free of charge but thanks to PMMZ (RIP) and his cliques for thinking on how to use what you have rather than fighting to use what you should not have by force. Asseb can be used by Ethiopians simply by creating understanding and love – and yes no question asked Ethiopia and Eritrea will soon cooperate. both people need each other and no force will change this truth. There is no question that you need us for survival but we don’t need you. The proof is in the pudding. As far as Assab is concerned, Ethiopia is standing on good legal grounds that it belongs to us. It will be pursued when the right moment arrives. I don’t think the two people are ready for cooperation right now nor in the near future. There has been enough bloodshed to let the bad blood between us last for atleast two or three more entire generations lifetime. Im no fan of woyane but but a big fan when it comes to their policy of ‘no war no peace’ policy. your permission to put some points here. 01. I think the “will” that someone owns is more important than capacity. if you have all important things to create something but you don’t have the will and desire you can’t practically accomplish anything. But if you have the will you will be able to find the way to get things that will allow you to accomplish your aim. 02. 100M Ethiopians should accept Ethiopia is landlocked but 5M Eritreans should not accept their brothers don’t have sea port .. How? by expanding love . accepting we are one people in two nations. both people simply should fallow where love takes them – believe me love will make the miracle. 03. Badme :- there will be a very legal solution in boarder issues when Eritrea will have legal government and no single person can force Ethiopians to leave Badme now since PFDJ is there. If so happen Ethiopia leave Badme today, that will be also one advantage for Eritrean people. There are certain things that I believe would take us towards two peaceful and friendly countries living side by side in reconciliation and cooperation that would benefit both countries and people. Otherwise, the legacy of the two people will be a very ugly one that will one day bring them to the point of mutual destruction. They and their posterity will be cursed like the mythical Sisyphus, who was condemned to push a rock uphill, only to see it rolling down crushing him, before he could take it to the top. 1)	Those Ethiopians who doubt Eritrean independence and want to undermine it one way or the other cannot be more foolish. 2)	Ethiopians who say that they accept the land-locked status of Ethiopia, while they sit comfortably on a piece of barren land (Badme), and due to the foolishness of the regime in Asmara, have succeeded to create a situation that is destroying Eritrea almost to extinction, are utter liars. Nations have separated, but they made it in such a way that they remained friends. In our case, the way the divorce took place was meant to harm and humiliate Ethiopia. That is why we are left with its ugly legacy, i.e. still fighting and killing each other that would continue, unfortunately. Those who believe that a hidden truth does not exist, or are happy only with what they like to hear, are making a big mistake, because they will find the problem standing in front of them in the future, and they should know that there is no way to avoid it. The probability of reviving a legitimate claim for a sea outlet by Ethiopia is still out there. It is only a matter of time. Had it not been for the late “trojan horse” who deliberately forfeited it so as to fulfill perhaps a diabolical promise that he had made to make Ethiopia landlocked, things would now be different. Be that as it may, who is to say that this case is closed and shoved into the oblivion? Neither geography nor Eritrea is at fault here. Nevertheless It is singularly the fault of the Eritreans who to this date, are running Ethiopia’s affairs. 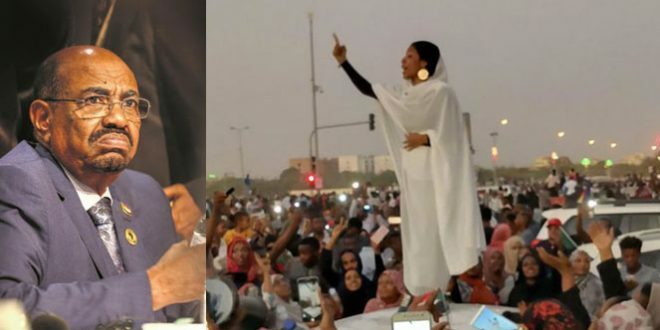 Soon enough, their mandate will be over and it is inevitable that a nationalist government shall arise and in that case, expect that Assab will be aggressively contested. In this unjust world where the fittest survives, Great Britain still occupies the Falklands and my drift is that ‘occupation’ is out of the question here for Assab is part and parcel of Ethiopia historically, geographically, geologically. Soon the mighty Ethiopia will rule over the region. Let the Nationalists come. Amen. Someone made a comment that I am “degrading my honor” by claiming that at the helm of Ethiopia’s ruling party (the nucleus) are a bunch of Eritreans full and half blood which is a reality that can not be contested. Need I mention names of these ticks (Eritreans within the TPLF bandit?) anyways, I was challenging the sudanese commentator who provoked the issue. Peace my friend! Your nickname has already said it; your country is obliged to abide by the rule of law of nations under the UN Charter and various protocols, or otherwise it could face trouble. Your country tried its chance to forcefully subjugate Eritrea and retain access to the sea which it had gained by complicity of the world powers. But it has lost the war after paying the cost in blood and death of a million innocent Ethiopian soldier during a span of thirty years. And it wisely closed that sad chapter with help of the UN sponsored referendum. So, how can hope to turn time backward and table a claim. Or you are going to commit aggression against a sovereign nation with which your country had solomnly entered a contact under internationally sanctioned result of Eritrean people’s process of self-determination through the instrument of a plebscite. By the way, it degrades your honor and dignity if you really believe Eritreans are running the affairs of you country. If were in your shoes, I would not even think about it. Ethiopia is a great country and the Ethiopian people are proud and dignified, which Eritreans and others respect. Well, Your government proved that they can srive without getting bogged down with the landlocked status for the last 15 years, and it also proved that it can penetrate Eritrea easily, so I do not see Ethiopia wanting start war now. I am not saying they did not start the latest fighting, but they may not have plans for protracted war like the last one. Eritrea is tamed now, they can watch it, Ethiopia can watch it with corner of their eyes. But bigger problem for your country is the internal issues, like any African country it has higher than average propensity for civil war if it does not move fast to solve the problem, making its diversity an asset rather an a liability like many African countires. More than the military threat they pose to Ethiopia, the strength of these groups who are hosted by the regime in Asmara, lies much more in their ability to mobilize unsuspecting young Ethiopians. Yes, some political groups continue to prey on minor ethnic problems and make them look insurmountable. Nevertheless, it is the river Ethiopians should cross successfully, or get drowned in it. The odds are Ethiopia seems to have succeeded to a certain point. I hope time will be on the side of Ethiopia, because I believe that the respect for ethnic equality, identity, culture and self-rule are the only remedies that could bring a peaceful human society of the future. It is wrong to to take for granted that this creates a centrifugal force that fractures a nation. This is rather strange development. The fact that the GoE spoke about it and Ethiopia didn’t (so far) is very much odd. The informal statements from Ethiopia appear to blame the Eritrean side. If that is followed up to be Ethiopia’s formal position, then politically Ethiopia will have no room but to expand the conflict because it has been declaring that it would do so for a while. However, if Ethiopia confirms GoE’s claim that it had initiated the attack, then the situation may pass as a skirmish akin to the 2012 offensives. If the case in fact turns out to be the first one, then the situation can only be brought under control through third party mediation aimed at a ceasefire. It is also interesting that the major news wires haven’t picked up the story yet. So, is shabaite serving the truth? U seem to be very behind Nowadays! The TPLF was trying to catch some Egyptian Generals,who were touring the EDF Positions and Fortresses on the Front lines. PIA notified Algiers today about the attack . Something bigger might be cooking in,God forbid. Because the ongoing border war doesn’t look like an attrition as before, the news is not encouraging for those who are making concerted diplomatic efforts to resolve the border issue without any further bloodshed. One of those countries is Algeria. If war breaks out this time, there will be no one who can be an inspiration to the Eritrean defense force members because all those leaders (generals) with outstanding bravery are either in prison or died in prison. The generals who are now leading are very much like Isayas in that they never fought any battle before. Their focus is money and power and they are ready to run away as billionaires. Because they are money focused, they cannot accept any war challenges nor can they use the available military equipment properly. Therefore, every Eritrean should call on the Eritrean defense force members to hold their ground and keep defending their position, like they did in Assab in the last war when their generals fled back to Asmara. TPLF is not in a position to blame others while it continues to occupying a territory of a sovereign nation. It just doesn’t make any sense no matter how brutal and lier PFDJ is.